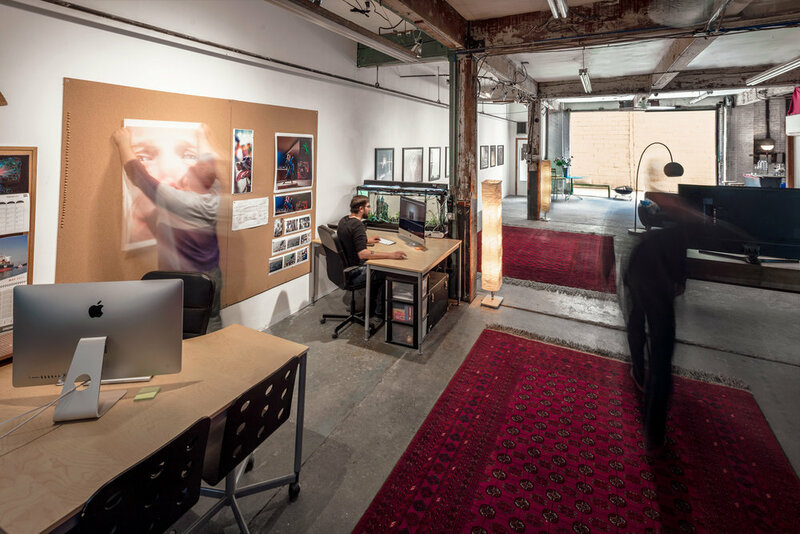 A creative photo/video studio, production house, and event rental space in Kensington, Philadelphia - by independent artists for independent artists! We showcase local print medium artists every First Friday on our 32' exhibition wall, contact info@colorspacelabs.com for submission requirements. Interested in booking our photo and video studio? We have over 1500 sq ft of open space for galleries, networking events, birthdays and more!